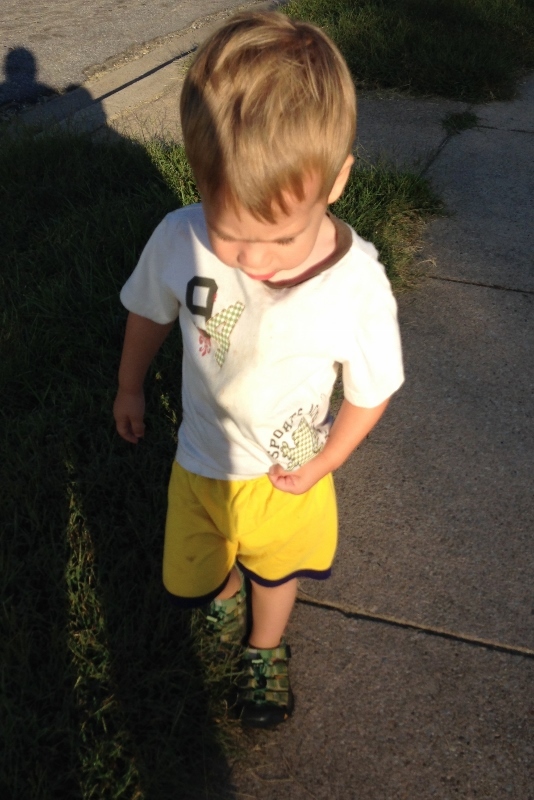 Last Tuesday, we took an early morning walk (mainly to avoid the extreme heat). Once I started interviewing them about their babies, it became clear that their babies were actually toddlers, and that Ellie and Marko have very clear opinions on how long babies should nurse! Hooray for extending nursing! Ghee-Ghee is Ellie’s imaginary friend who Mark accepts without question. We only talk to Ghee-Ghee on the old rotary phone that’s on the wall outside the laundry room downstairs. Too bad Ghee-Ghee also seems to like hitting Joey. 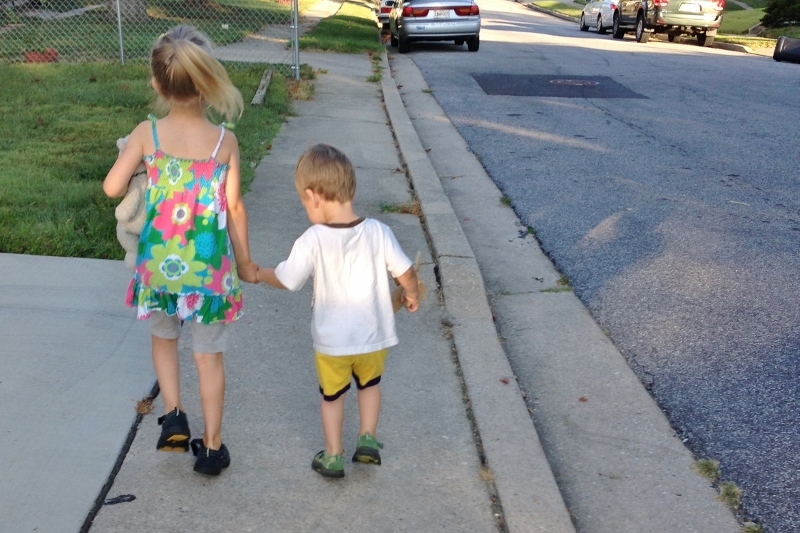 *I initially said “no” to their request to bring their stuffed animals along on their walk and then I thought, “Why am I saying no?” As it turned out, upon reflection, I was saying no automatically and without a good reason. 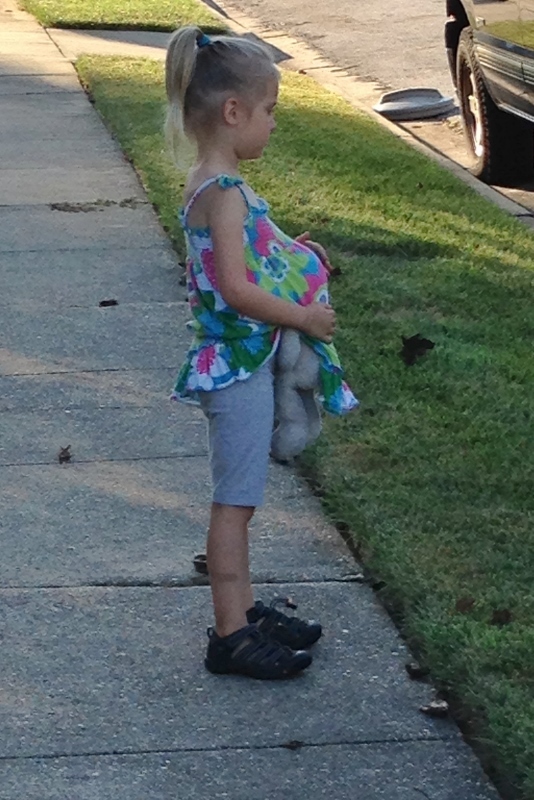 So I changed my mind, cautioned them that only kids carried stuffed animals, not mamas, and we had a lovely walk. Hooray for saying yes! This entry was posted in Ellie, Mark, movie, nursing. Bookmark the permalink.